I would argue this killer combo of marketing is mainly for B2C marketing and thus it is best applied to the marketing of products, especially mass retail products. So let’s take a look at another more contemporary framework for B2B marketing – the Four C’s. This framework is newer, and in my opinion, more applicable to a wider range of today’s marketing challenges. Since B2B Marketing is arguably more of a marathon than a sprint in marketing – you need to always have your 4 C’s engine going – creating the best content, finding the connecting with your target audience, sustaining the communications pattern until they are ready to convert – this way you have a fighting chance at making all your marketing efforts count toward one goal – Sales! Interesting take on the distinction between b2c and b2b for the 4 Ps. I have to say I think you are merging two concepts: a) the need to update the 4 Ps, which is dated b) taking social media concepts and applying them to b2b. It sounds trendy and cool, but having been a Communications Manager for a major b2b company for the last 5 years, I would say that the principles of solid b2b marketing still apply, and yes, they are different from b2c. And yes, social media does have implications for traditional b2b marketing techniques. But its making it a bit too simple, dare i say trite, to simply say “here we are, the 4 C s”. If you look at each “C” individually, they are all elements of the classic Kotler “Promotion,” no matter what part of the organization is executing it. While there is more of a “two-way” (interaction, conversation, whatever you want to call it), the objective of that content/connection/communication/conversion must be tied to delivering a product or service that benefits the customer – hence a measurable transaction. With time, the “newness” of social media and all the shiny fun platforms we all enjoy will dovetail into “Promotion” and no one will think twice of it. Your proposed 4 C’s is thought provoking. I agree with Joe above that they are very “promotion” centric, at least in the context of the traditional 4 P’s. After all, in B2B Product, Price and Promotion still apply. Place has become the sales channel. In my view the potential controversy is that the “etiquette” of contemporary marketing has become very “social” and therefore to call it promotion is not received well by some. But, if you can’t produce conversions (in B2B) do you have a job? We don’t get paid just to be social. We’re in business to sell a widget or service. The 4 C’s have become a means to an end. To sell something. I for one, am very good with that! @ Bernie – great point – and I would add with the long lead times typical in B2B Marketing as well as the need for a “trusted relationship” – the 4 C’s will serve you well! Perhaps a 5th ‘c’ for measurement? Calculate, calibrate, check? @ Tracey – I was thinking Conversion would give you metrics like – conversion rate, cost per conversion, convert to sale etc..
You know who developed the original 4 Cs as an update over the Ps? A Tar Heel and professor by the name of Bob Lauterborn. Great guy whom I was lucky to have for some classes. Great post Paul. I wish they would include more B2B marketing principles and case studies in business school. Non-marketing executives, especially those that attended B-School recently and took a core marketing class, still cling to the 4 P’s when evaluating our marketing efforts. @ Alec – I agree – which is why I started this blog in the first place! – I had a hard time finding pure B2B material so back in 2006 I started writing my observations down in this blog on HOW we would apply concepts we see in the market to B2B – thanks for commenting! Hi Paul, I have had the illusion that Content would be king in B2B environments. Unfortunately, it doesn’t (now tells my sales experience in B2B). Maybe one could add a fifth P to the traditional mix: People. Business to business is people’s business (and yes, they need Content and all the rest, but personal relations remain quite essential). thanks for commenting – great point! I agree with Joe Zuccaro; the 4 C’s can relegate marketers to the Promtional P, which is the back-of-the-bus. Does anyone really want to go back to the days of promoting whatever gets “thrown over the wall?” (Okay, many of us still do that…). But in our zeal for embracing digital platforms and social media, we’re going bonkers over new promotional media, forgetting that the true marketer has a strategic responsibility for what gets built in the first place. In the 4 C’s model – the path to the strategy conversation and executive planning table is through the Connections C … if you’re using this C correctly, you’re not limiting your audience connection to promotion, but using it’s conversational attributes to inform the product and service strategy. 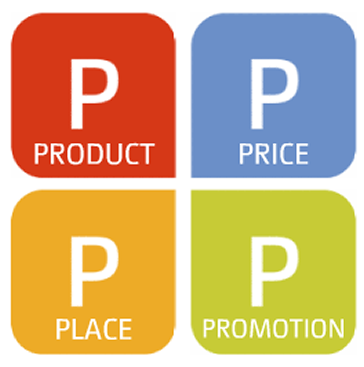 If you lose the product P you’ll go backwards … and get stuck in marcom land. So, my advice: make sure you implement the Connections C to inform the product plan. Paul, is that how to see the Connections C playing out? After all, this C is about 2-way conversation … not one-way promotion. It’s the intelligence you get from the Conversation that gives you a right to participate in the business strategy. @Richard (and @Joe Zuccaro) – I think you guys raise a really good point – and I am going to fall on my sword on this one. Honestly I really didnt have the strategic concept wired into this formula well enough. I think Richard did a good job getting it wired into the 2nd C – which frankly I hadn’t thought of – but now that you say it Richard it is the right place for it! Connections could almost be a feedback loop – which social could really help you with getting the right feedback and making even better decisions. Thank you both for opening my eyes to this. @SocialNK – thanks for the link love! @Robbin – thanks for the heads up will check out your link! I think the 4 C’s are missing the most important C, which I would call – Customer/Consumer. I think B2B marketing needs to wrap itself around the concept of managing the “Customer” franchise. Are we adding customers or losing customers? How are we defending and extending our position & relationships with customers. What is the life time value of the customer, etc.? B2B Marketing must enable sales to deliver value to the Customer franchise. great point and thanks for commenting – will follow you on twitter! You can get the valid source about the B2B Marketing process in the aspect of the Marketing Policy and the valuable important tasks in the posts…keep sharing. If anyone is interested in Business Data may I suggest you take a look at our website for B2B Data. At the moment we’re looking to build on our existing database for the UK so are particularly interested in exchanging data. 3Cs + one BIG A. CREATIVITY (in all things), CONTEXTUAL CONTENT(relevant topics that relate to you customer/prospect’s world), CONNECTIONS (making real connections with your audience – broader than conversations and and focuses on the end game) and ANAYTICS (we also call it CRUNCHER). this is a great good content. My organization is actually looking forward to another posting. It’s an interesting model but now some time has past, do you think it’s still relevant or do you believe it could do with refining further. @Manchester – its a good question – this post is the single highest trafficed post on my blog for over a year, it makes the top 10 visits EVERY Week so it must be resonating with folks. I ran across this post a few days ago and I was very intrigued by your initial hypothesis–that the 4 P’s of marketing are more a B2C framework than a B2B. I think that’s the right approach to be taking, but as I’ve thought a bit deeper about the model (and admittedly read a lot about it–you did create quite a discussion after all!) I think there are a few things to consider that might give the model a bit more weight. But, again, just ideas. The first thing that I would mention is that whether you’re in B2C or B2B, transactional sales will almost always follow the 4 P’s model–that’s because price and placement still matter to people who buy things off the shelf–especially physical product. In fact, it doesn’t matter if that physical product is just a CD/DVD with intellectual property on it–placement and price still matter. As for services, again in B2C, placement and price of those services still matter–i.e., is it convenient to get to those services and is the price good enough for my return. For B2B organizations that offer some type of extended service, that’s where the 4 P’s get sketchy. The reason why that’s the case is that I’ve come to believe that when dealing with services in a B2B framework, price is fluid. In fact, the sale is rarely dependent on the price–it’s more a function of how much value can be created over the life of the sales cycle. Additionally, placement seems to be out of place–for lack of a better term–because B2B service companies don’t work in the same type of distribution channels that other companies do. So, for these organizations, I think there needs to be a new model. And I think your model gets close–but it’s missing a few things, in my opinion. One of the earlier commenters mentioned that your model is more of an expansion to the promotion P. I agree with that. Given the fact that marketing still needs a seat at the strategy table for any business to be successful, following these 4 C’s as you’ve outlined them doesn’t really get to the strategic part of marketing. What you’ve outlined, to me, is the 4 C’s of Marking Communications–not actual strategic B2B marketing. Again, just my own view. So, to that end, I thought about a few different ways to approach this and have come up with a couple of other suggestions for you. Take them for what they’re worth (maybe nothing) and do with them as you see fit. My only hope is that this extra long comment gets read! Connection – The goal here is to connect the business to the outside world–the marketplace–and to bridge the gap between sales and product development. Connection isn’t about conversations with the marketplace, in my opinion, it’s more about making sure the business stays connected with what the market is demanding and building that into your strategic plan. Communication – This, to me, is more about defining your strategic message, rather than building a conversation. For example, I always craft a strategic positioning statement for every business I work with that defines the audience, the benefit of the product and the compelling reason why our business is better at achieving outcomes. Crafting this strategic communication then allows you to use it as a guidepost in all of your communication so that you’re ensuring that the market hears exactly what you want them to hear. Additionally, I find that most B2B marketers believe that writing whitepapers and doing webinars is intrinsically valuable in and of themselves–as if it’s the delivery mechanism that is the most important part of the marketing communication. Not so. Channels – This is really where the MarCom side of things comes in. This is where you define your marketing mix–how you get your message out. For some B2B service companies webinars and whitepapers are a great idea–for others, not so much. Maybe for them it’s more of an online product demo or tradeshows, or PR. The point is that here, you need to decide where your audience is how to get them the message you crafted earlier. And, for every business, it’s going to be different based on what kind of services are offered. Classify – Analytics and data are so important in today’s marketing space that without them, you’re flying blind. It gives weight to your intuition and substance to your arguments. It’s what ultimately, gets you a seat at the strategy table. But here’s the caution. Not all conversions are created equal–that’s why I called this classify. Every marketer should be able to effectively assess what a prospect’s interest is and what exactly they’re interested in, but we should be able to do that on our side too–essentially, are we really interested in having this prospect as a customer or are they just a window shopper? Classifying those people that convert so that you know who your best prospects are for possible sales is crucial. That way, you can sort through all the people that read your whitepapers for fun and those who really are evaluating your services. Interesting take on Communication – yes most b2b marketers rely and put lots of faith in the traditional tactics of White Papers and webinars – but youre right the delivery isnt the most important part. and Classify also has a heavy analytics pov as well – not something B2B marketers have realyl cracked yet since they tend to optimize by channel rather than across channels!